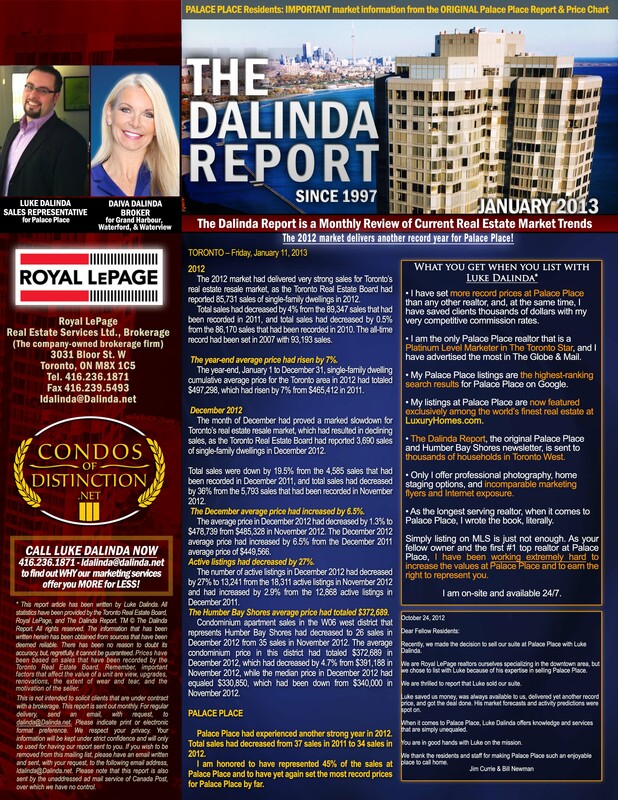 The Dalinda Report, January 2013, is out! 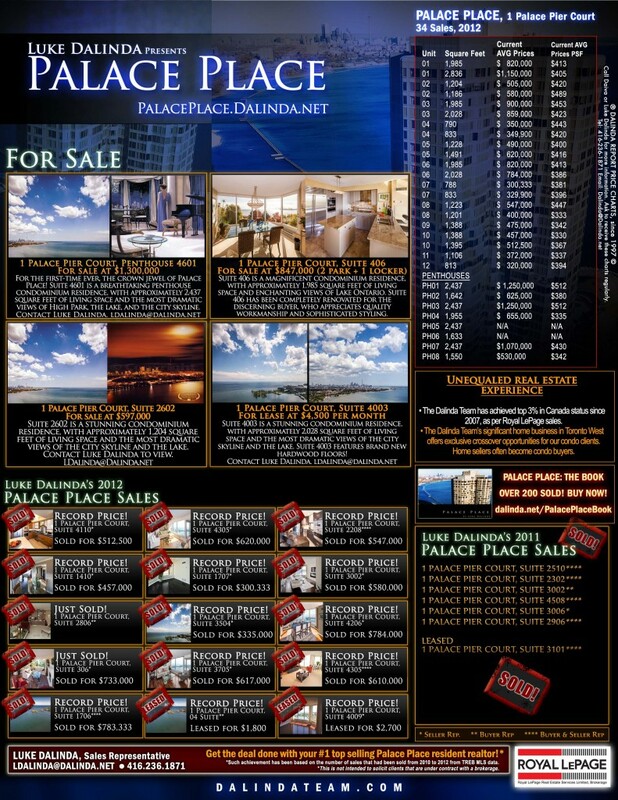 Luke Dalinda has yet again set the most record prices for Palace Place. Palace Place had experienced another strong year in 2012. Total sales had decreased from 37 sales in 2011 to 34 sales in 2012. I am honored to have represented 45% of the sales at Palace Place and to have yet again set the most record prices for Palace Place by far. Beyond The Sea: 3-Bedroom Penthouse! 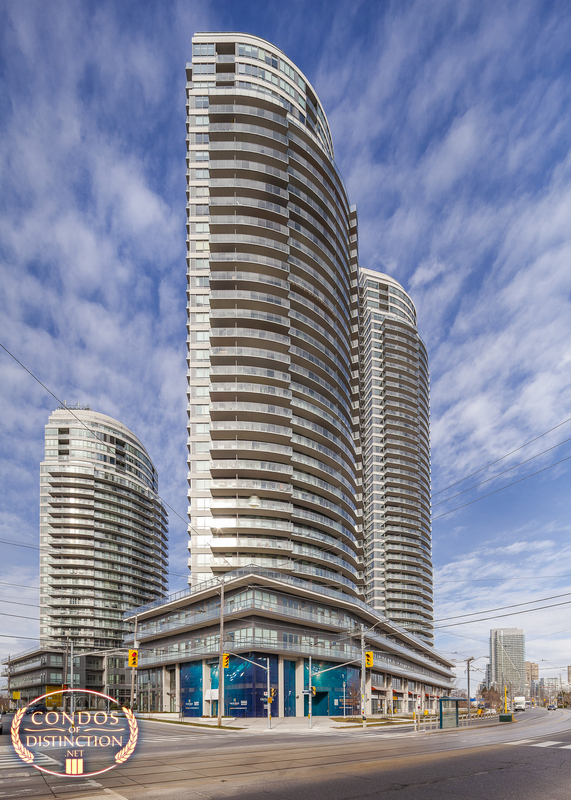 Beyond The Sea is a striking luxury condominium residence. 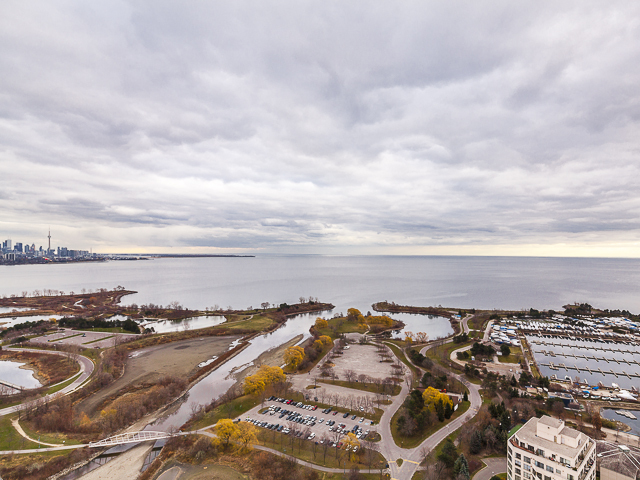 Penthouse 01 is a spacious penthouse residence, with 3-bedrooms, approximately 1,435 square feet of living space, and the most dramatic views of the lake, Humber Bay Shores, and the city skyline. Click for flyer. 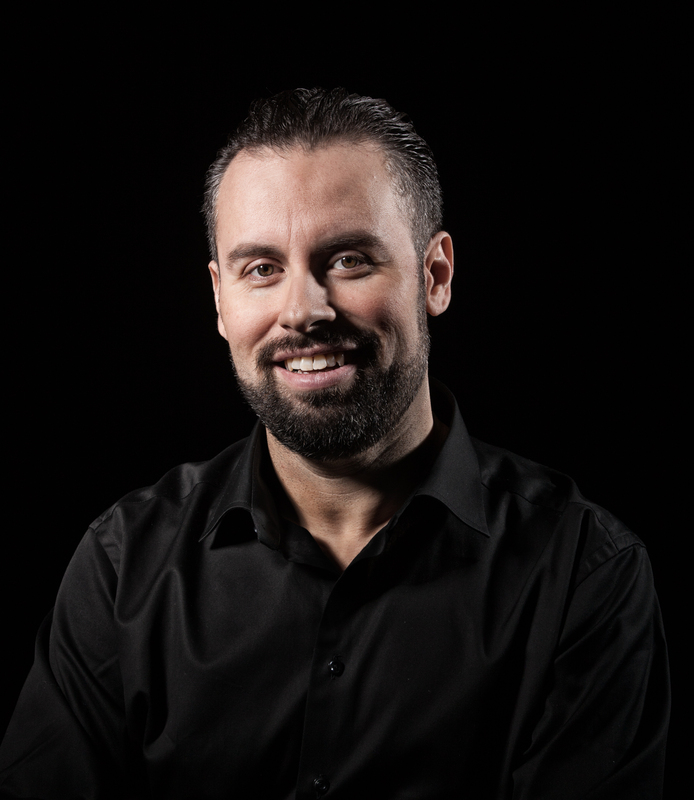 Please call Valentina Morasky, Sales Representative, or Luke Dalinda, Sales Representative.